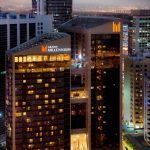 Grand Millennium Dubai, the 5-star property of Millennium Hotels & Resorts located in Barsha Heights, celebrates the festive season with delightful culinary offerings designed to make this year’s festivities extra special for families, friends and colleagues. 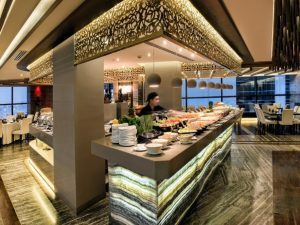 Located on the 18th floor, Toshi a signature Pan Asian Restaurant will mark the beginning of the festivities with a rich buffet of specialty dishes from Japan, China, Singapore, Korea, Indonesia, Myanmar and Vietnam. From 7pm to 11pm on Christmas Eve, savour an array of flavourful dishes with hot and cold appetizers, salads, soups, noodles, live station for hot dishes, seafood and fresh oysters and an international desserts section that you would not want to miss. Experience this with a live entertainment for AED210 per person with unlimited soft beverages or AED349 per person with three hours of free flowing house beverages. Make the most of this special day with your dearest and nearest while enjoying a lavish Christmas Day Brunch at The Atrium. From 12:30pm to 4:00pm, the dining venue comes alive with an open buffet filled with carefully selected international dishes and traditional Christmas delights. The in-house singer will bring everyone into the festive mood with his playlist of Christmas songs. Be on the lookout for Santa who will be making a scheduled appearance to greet guests, spread love and gifts for the kids. Activities include a special Christmas cinema and a clown will be present to entertain the little ones at the Kid’s play area. The Christmas Brunch at The Atrium is priced at AED195 with soft beverages and AED249 with three hours of free flowing house beverages. Kids below 12 years will get 50% discount. Bid 2018 goodbye with a New Year’s Eve Dinner at Toshi Pan Asian Restaurant. The dinner starts at 8:00pm with a 5-course menu of specialty Asian fare. At the stroke of midnight, wish everyone “Happy New Year” while watching the famous fireworks in action happening at Jumeirah Beach and The Palm. Enjoy the rest of the evening with live entertainment music. The New Year’s Eve Dinner at Toshi is priced at AED599 per person with unlimited soft drinks, water and juices and AED799 per person with three hours of unlimited house beverages. Countdown to the New Year at Belgian Beer Café and enjoy a truly authentic Belgian 3-course set menu paired with our house drinks for AED399 per person. The dinner starts at 7:30pm to 11:30pm with live entertainment from one of the best DJs in Dubai. Once the clock strikes 12 raise your glass and dance the night away to the lively beat of the latest, commercial music. 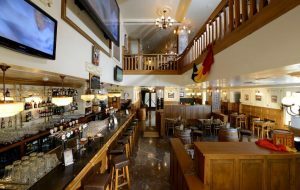 Belgian Beer Café will be open for the New Year’s Eve party until 3:00am. Ring in the New Year at Grand Millennium Dubai Ballroom and enjoy a truly authentic international buffet with free flowing house drinks for AED649 per person and unlimited soft beverages at AED499. The dinner starts at 8:30pm to 02:30am with live entertainment from a DJ, singer and belly dancer. Capture the amazing fireworks from Burj Al Arab and the Palm area at midnight.